Trojan has three distinct areas to its business. The first is returns management, refurbishment, repair and recycling of customers returned IT & AV products. These services are provided to both manufacturers and retailers - the customer base includes some of the biggest manufacturers in the world and major electrical retailers in the UK. Secondly, it is a full service provider for e-tail, including multi-platform solutions. 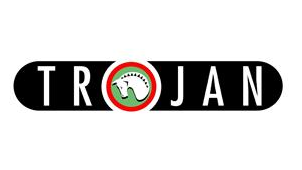 Trojan manages web-stores for customers. One of its clients is the UK’s number 1 retailer and Trojan manages and runs an eBay outlet store on their behalf, dealing with listing, despatching, customer service and all other aspects of this operation. Currently, it operates seven stores for different clients, this is set to continue to increase with at least a further two by the end of 2012.Finally, the firm’s electronics department carries out sub contract work ranging from PCB manufacture, employing both SMT and through-hole assembly techniques, to complete product build and test and full turnkey solutions for small to medium sized batches. After understanding that the implications of the WEEE directive (Wastage of Electronic & Electrical Equipment) would have far reaching consequences for both manufacturers and retailers, the founders wanted to establish Trojan as “best of breed” within this sector. This has been achieved by continued investment in both infrastructure and staff. The founders also believe that there is a need and requirement for quality manufacturing in the UK - not everything is made in China or Eastern Europe! After overcoming a serious factory fire after only 5 months after start-up, other challenges have been easy to deal with! These have included coping with the unforeseen delays in the implementation of the WEEE directives in the UK, the continued development of industry leading software to provide customers with full tracking and reporting facilities of their assets, the collapse of a major customer (accounting for 30% of its turnover at the time) in late 2008, and coping with, and thriving on, continuous change that is embedded in the culture of Trojan’s owners and staff. The increasing need for the services that the company provides has enabled the business to grow. However it is only as a result of the dedication, flexibility, commitment and ability to adapt to change shown by the staff, that this can be achieved. Trojan continues to invest in its staff with training programs, incentivised bonus structures and profit share. And the owners truly do value their staff as Trojan’s biggest asset. The company continues to be very proactive with customers, suggesting ideas, improvements and cost savings enabling the company to stay ahead of its competitors. Trojan has developed and implemented pioneering services that deliver more for customers and, by demonstrating that those services can be delivered in the industry, this enables Trojan to win more and more contracts. Finally, planning for growth and how it can be achieved is also important, and Trojan’s Board is constantly seeking to grow the company, energetically grasping the challenges that this inevitably throws up. In 2010, Trojan opened a second location in South Wales to accommodate an increasing demand for its e-tail fulfilment services, and took the opportunity that this presented to improve its Contract Manufacturing facilities and further extend refurbishment capacity. With consistent growth (this is the company’s 6th appearance in the FastGrowth50 table) the company is already starting to look for new and larger premises, with the aim of bringing all its operations once more under one roof. The company will continue its marketing with the aim of securing further accounts with those major retail chains not already placing their business with Trojan. It will also continue the drive for greater efficiency and higher service standards to enhance relationships with existing customers and increase the potential for gaining new accounts. 2012 has seen an expansion into the Smartphone market and Trojan is now working with one of the larger operators in Europe to bring high quality refurbished Smartphones to the UK and other European markets via the company’s expanding e-tail fulfilment programme.